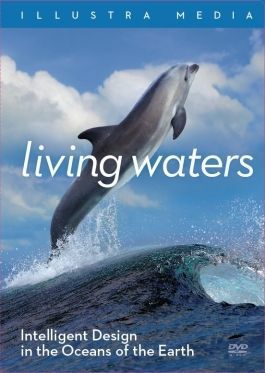 Living Waters: Intelligent Design in the Oceans of the Earth is the third film from FishFlix.com that I have reviewed as part of the TOS Review Crew. My family and I have loved each and every one of them. Beautiful ocean footage, detailed CGI models of sea life anatomy, and interviews make up Living Waters. The documentary explores the different possible explanations for the many sea creatures and how they came to be. Basically it boils down to Darwinism verses creation. Both rivers and oceans are explored as the case is made for intelligent design. I watched the film with all five kids (1, 3, 4. 13 and 16) a couple of times. We all enjoyed it. Okay, maybe the one year old didn’t pay much attention, but she didn’t fuss though it. That counts for something, right? The littles asked to watch it several more times after we watched it together. They would rather watch a good documentary than cartoons any day. At birth, sea turtles imprint using geo-location to know where they will come back 18+ years later to lay eggs on the same beach. They leave that original beach and swim sometimes over 1000 miles away to feeding grounds where they live until adult hood. Females make that trip dozens of times during their lifetime. Salmon swim 1000s of miles to reach the gravel beds where they were born in order to spawn. They use magnetic coordination to find the exact river where they were born- their natal river. They swim up stream at a rate of 18 miles per day. Only the males sing, and their songs can last from three minutes to half an hour. Humpback whales can live for up to a century! Females give birth to one calf about every two years. Perhaps my favorite part of the film was the explanation of what all would have had to happen if natural selection were in fact why whales are in the ocean- not because God put them there. In short. . . mutation rates. According to documented research, a single pair of coordination mutations (two changes that work together, i.e. muscle and bones) would take more than 100 million years. The evolutionary changes that would be required to take the whales from land to ocean is simply not possible. The time just isn’t there. Take that Darwin! Of course, we know that whales are in the ocean because that is where God put them; it’s where He created them to be. Today is National Pasta Day! Let’s celebrate with 20 yummy pasta recipes and some history! !